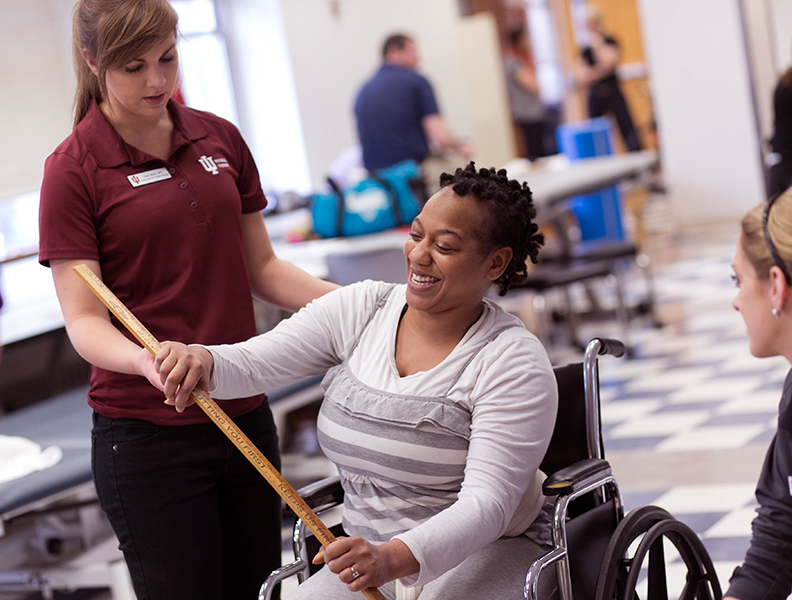 Are you interested in a profession in a rehabilitation field? Are you interested in going to graduate school for fields that are in high demand? The Rehabilitation Science concentration is ideal for individuals who are interested in pursuing advanced degrees in athletic training (MSAT), occupational therapy (OTD), or physical therapy (DPT). Other advanced degree programs may also be a great fit for this concentration! The Rehabilitation Science concentration is designed for students to complete pre-requisite requirements for graduate school while gaining applicable, hands-on experiences in the health and wellness field. Please note: Pre-requisites may vary at different graduate schools. Students should be responsible for cross-referencing multiple desired graduate schools to ensure pre-requisites are being met. We cannot guarantee the Rehabilitation Science concentration meets pre-requisites for ALL graduate schools in these professions.